Fuzipop holds monthly events at some of Manhattan's hottest nightclubs for the under-12 set. The dance floor was thick with the smell of sweat and alcohol, and tattooed arms waved neon glow sticks through the dark as a remix of Miley Cyrus's "Wrecking Ball" filled the club. It was what you would expect to see at a downtown New York hotspot, only it was 2 p.m. on a sunny Sunday afternoon. The tattoos were fake and most of the revelers were barely old enough to be in elementary school. And the D.J. was 9 years old. 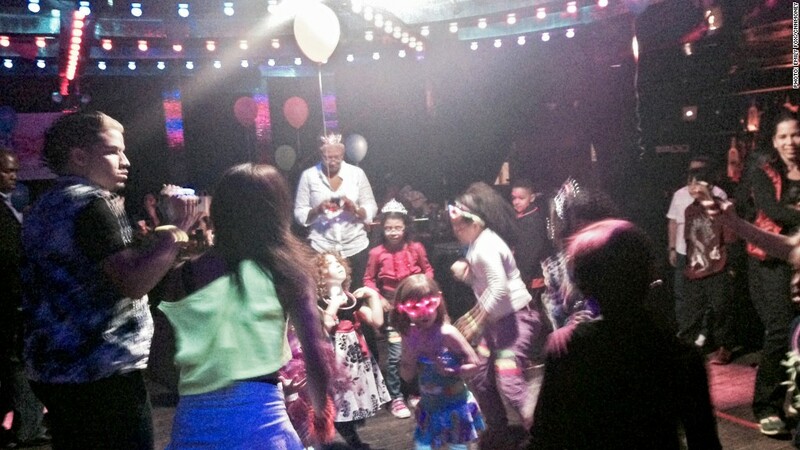 This is a typical Fuzipop event, a monthly dance party for kids under 12, held off-hours at trendy nightclubs around Manhattan. "This is what we used to do all the time but don't get to do anymore," said Jesse Sprague, who co-founded the events with his wife, Jenny Song, last year. "Plus, everyone is always looking for family entertainment and we know the kids will have a blast." Sprague spent years working in nightlife around the city, which is where he met Song, dancing at a club. When they had their first son, they threw his birthday party at one of the clubs where Sprague worked. They invited many of their old club friends, along with their kids, and no one wanted to leave. "All the parents said they would pay to do this, so we made a business out of it," Song said. Fuzipop has been holding events for about 200 kids once a month for a little less than a year, charging $20 for a parent and child and $60 for a family of four. The business isn't turning a profit yet, but Sprague said they're breaking even. The April event was held at Pink Elephant, a club in the West Village with velvet ropes and a strict door policy. The bouncer working the door said the toddlers and elementary schoolers were better behaved than the adults who had waited in line for entry just 12 hours earlier. Inside, parents lined up the full cash bar as their kids leaped around the dance floor shouting out the words to "What Does the Fox Say." The tables usually reserved for VIPs ordering pricey bottle service were littered with champagne glasses and juice boxes. The bartender, who's used to serving a liquored-up, over-21 crowd on Saturday nights, was surprised by how much the parents were imbibing. The most popular drink that afternoon was vodka. "I went to high school with [Sprague] and we used to go clubbing together all the time," said Karli Mennuti, a teacher who has brought her 8-year-old son to three of Fuzipop's events so far. "Now we can live vicariously through our kids, and we can all blow off steam together." The drinks started to run dry and the dance moves seemed more labored by 5 p.m. But not before D.J. Kai Song, the 9-year-old who spins at every Fuzipop event and has a record deal that put his songs on iTunes, shared the D.J booth with an up-and-comer. She was even younger, with a just-turned-8 glow, and fresh out of D.J. school in Brooklyn. 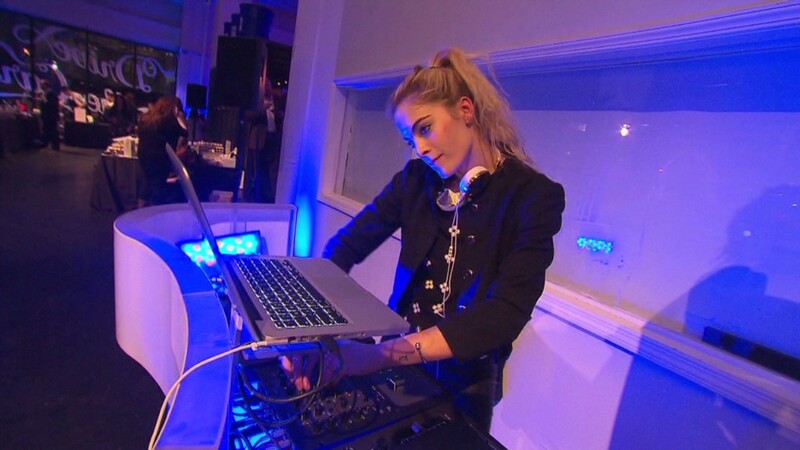 She had won the classes through a raffle at Fuzipop's first event, and took the stage as D.J. Tiger. As she put the headphones to her ears, the neon lights flashed and the crowd began to cheer and raise their hands in the air in anticipation of her big debut. "This is a big thing," Sprague shouted over the heavy bass as she started her set. "This is what she's doing when she's 8. She's at the center of a club."